Each block is hand cut and finished to your specifications. You provide me with number of photos (and saying desired) and I will design a proof of what each block photo would look like. 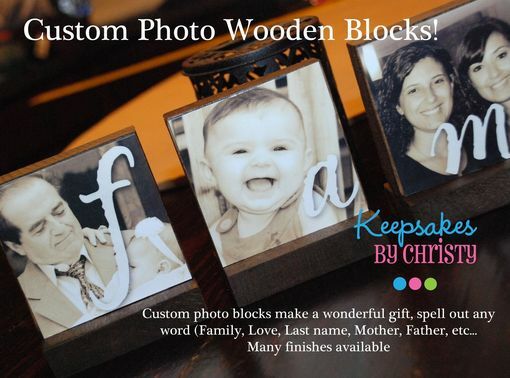 Photo blocks make a great gift and look wonderful on a mantle or bookshelf. Cost is $6.00 per block.